I don&apos;t know about you but for me there is no greater way to start my weekend than to begin with a breakfast out on the town. I love sleeping in and then heading to a warm, delicious meal that I didn&apos;t have to prepare! By now you also know that I am all about supporting local business so I consistently make an effort on these Saturday morning trips to try out a local joint. A friend recently was talking about her visit to the Cinnamon Rooster in Avon and after her wonderful account I instantly knew I had to try this place! 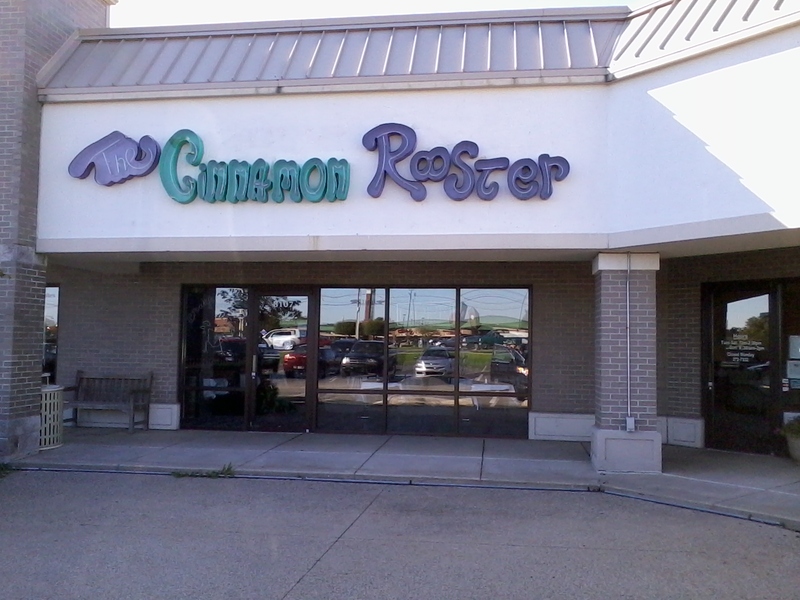 The Cinnamon Rooster is located right at the intersection of Dan Jones & US 36 in Avon. It is the perfect little stop for a good breakfast and, of course, some coffee! Saturday came and I was excited to see what this local restaurant had to offer. Would it make my list of places to frequent? Walking into the restaurant I could feel my stomach rumble, I certainly wasn&apos;t starved but the smells of freshly cooked bacon and warm syrup is enough to wake anyone up. Menu in hand, my stomach growled again. The menu is packed with all the normal restaurant fare but it also has some very unique dishes. They have a wonderful menu and it all sounds so delicious. Well as a Hoosier girl at heart I am a sucker for omelets. Just to spice it up a bit I decided to head south to the border and give their Mexicalli omelet a try. We sat and enjoyed our coffee and listened to my daughter in her toddler talk tell us all about her dreams of last night (this is what I pretend it to be). A few short minutes later our food arrived. It looked fresh and delicious and the taste was the same! This food was not low quality and greasy, the ingredients were great and thought had clearly been put into the preparation! Not only was our food wonderful. we had a great server, not only did I think so but my daughter agreed. (She loves the attention!) As always I am all about the price point. The Cinnamon Rooster had a great value for the quality of food and service you receive. Not only that but it was less than most of the standard chain restaurants you would find. Cinnamon Rooster also has lunch- guess I&apos;m going to have to give that a try soon, too! They also feature take home bakery goods. The feature item you ask? Twelve inch pizza style cinnamon rolls in varying flavors. Wow! I gotta give that a try soon as well! So did it make the breakfast list you ask? Yes, it sure did! Looking for a great Saturday morning breakfast without all the fuss and dishes? Give the quaint Cinnamon Rooster in Avon a try! Have you been to the Cinnamon Rooster? What was your favorite item?